One of the Xbox One's best features is its backwards compatibility support. Gamers who don't own an Xbox 360 can purchase and play an enormous collection of older titles through the Xbox One, and those that do own 360 games can play them on their Xbox One without having to re-purchase them. To coincide with N7 Day yesterday, Microsoft has added two new games to the backwards compatibility library: Mass Effect 2, and Mass Effect 3. You can now play the entire Mass Effect trilogy on Xbox One through backwards compatibility, just in time for the launch of Mass Effect: Andromeda next year. The reason it has taken Microsoft this long to support the rest of the Mass Effect trilogy is due to the multi-disc releases of both Mass Effect 2 and 3. Microsoft had a few issues getting multi-disc titles to work correctly with backwards compatibility, though these issues were recently resolved when Microsoft began supporting Deus Ex: Human Revolution earlier this year. Mass Effect 2 is possibly the best game in the entire Mass Effect series, and it's well worth playing if you enjoy science-fiction RPGs. 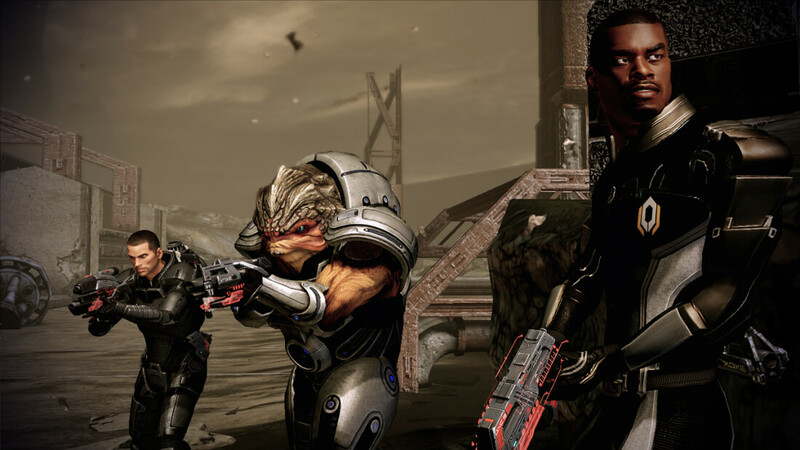 Hopefully Microsoft has resolved some of the performance issues that were present while running the original Mass Effect through the Xbox One. For those that are eager for the next installment of Mass Effect, Andromeda will be released in the first quarter of 2017.